patients seeking medical attention from the Pisga Medical Center in Bechem in the Brong Ahafo Region. Speaking to the media, Assistant District Officer of Police, Mr Clifford Ashie told Barimaba Yussif that ,the tyres got bust and swerved into the hospital. According to information the driver is reported dead whilst three are injured. 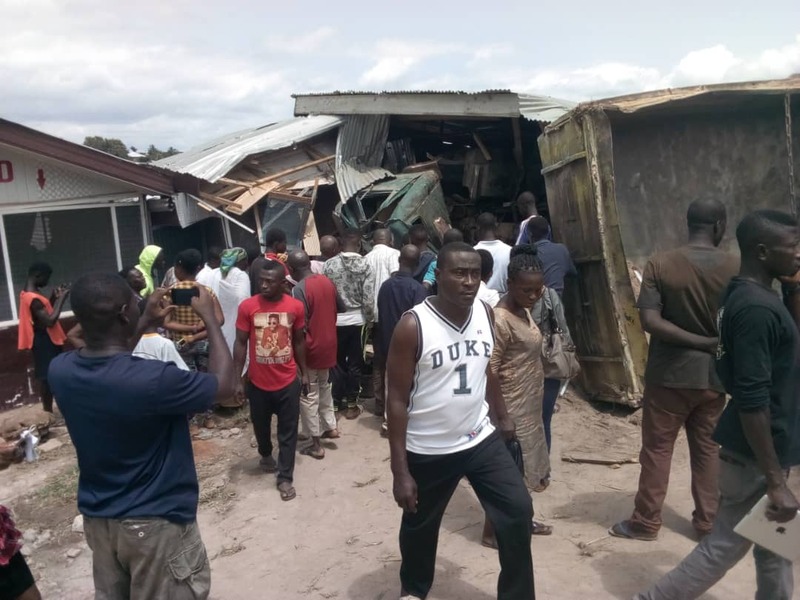 The injured patients have been sent to the Bechem District Hospital and the body of the truck been sent to the mortuary.